Tenkar's Tavern: When is it Right to Use Art You Don't Have a Right to As a Self Publisher? Never is the correct answer.. I was under the impression its a Parody cover made under the fair use law. Parody would have to be made excruciatingly clear and it's contense would also have to parody the work in question. A parody version still has to be your own work and not the original. Fair use has defined limits that do not cover sales and profits. Fair use is not a legal defense it is indeed a right. Is this in reference to something? Did somebody steal this artwork? They could do so much better than ripping off a Chaykin cover. This is rubbish. 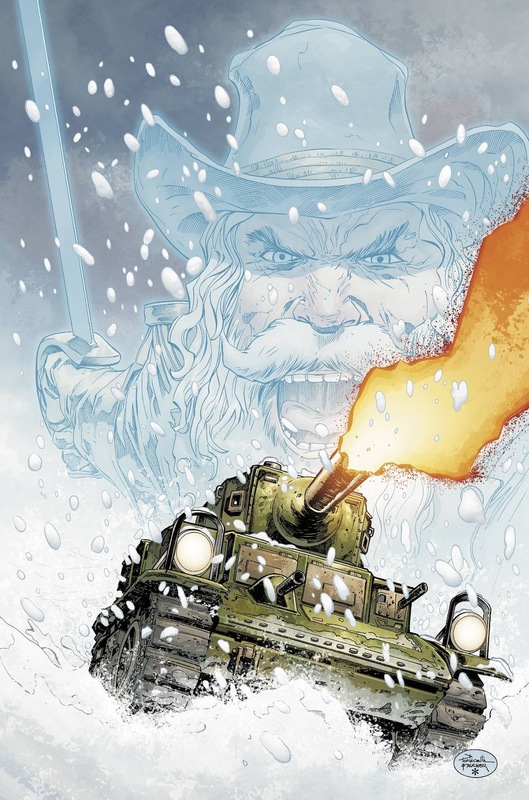 I'm more amazed DC revived Haunted Tank. That series always sucked.